The extended length of the Lucky 13 Performance Pump Cone allows for custom pump pressure tuning resulting in additional thrust allowing the ski to reach higher top speeds, achieve better acceleration and have reduced cavitation. 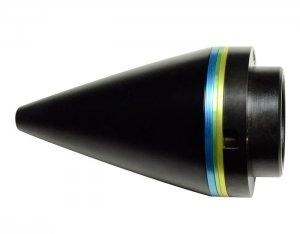 Using this cone will result in initial lower RPM's therefore it's important to use a larger exit diameter on your venturi nozzle than you would normally run. Typically you will want a 3mm larger exit nozzle than you would run without the adjustable pump cone. Best results will be achieved when using the Riva Pro Series Nozzles with interchangeable nozzle rings, or by boring your OEM nozzle out larger.